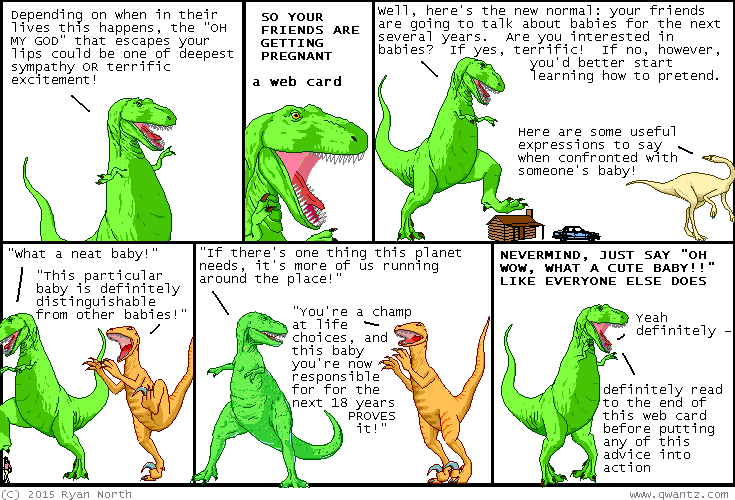 Dinosaur Comics - August 28th, 2015 - awesome fun times! August 28th, 2015: BABIES, AM I RIGHT?? AM I RIGHT, BABIES?? One year ago today: please, my father was "Mr. Final Harbinger of Chaos, The". Call me "Clawy".